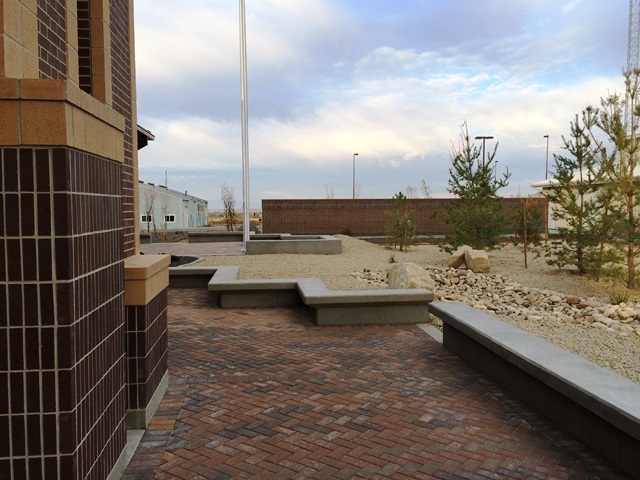 BRECKON landdesign teamed with Maxey-Tookey Architects on the design of this maintenance facility for the Idaho Army National Guard. 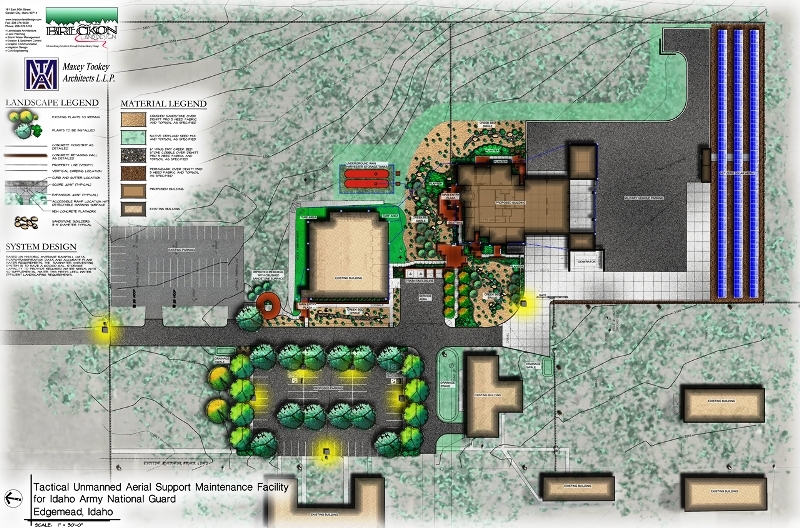 Landscape architectural work included design of site improvements and plaza development between an existing and new building on Mountain Home Air Force Base. 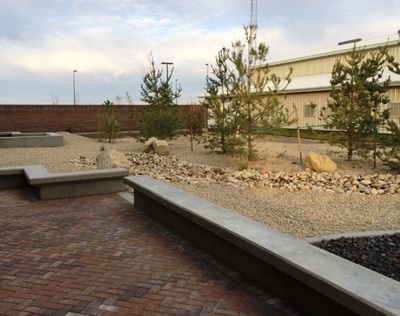 This facility was built to LEED Design Standards and included a storm water harvesting system that tied into planned irrigation improvements.